Designed with elastic retension features. 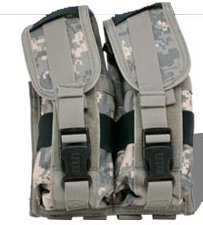 Complete with fully adjustable Velcro closure and reinforced by UTG patterened quick release buckle closure. 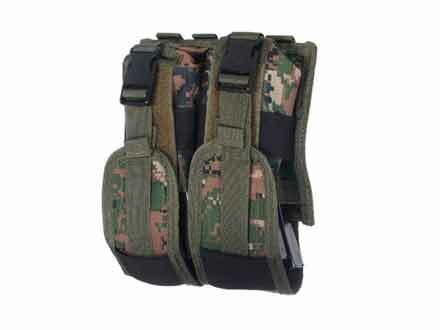 Holds a total of 4 M4/16, AK, and AUG mags or 2 G36, G3 mags or up to 8 MP5 mags! Attach it upside down down even easier mag-changes! If you're using this for AK mags, the velcro doesn't close. it's a tight fit, but you can get 4 in there.